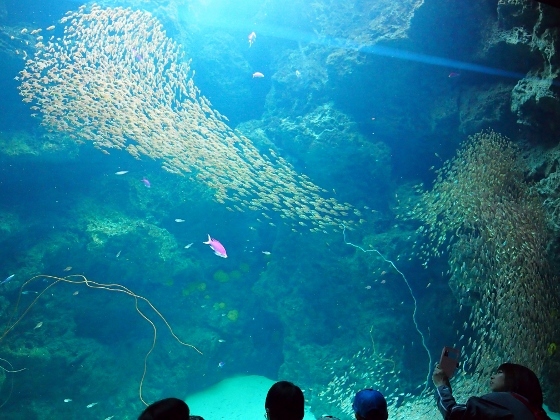 Today I visited Aquamarine Fukushima which declared itself as an environmental aquarium. It is located in Iwaki City of Fukushima which lies in the most southern part of Hamadori region facing the Pacific Ocean. 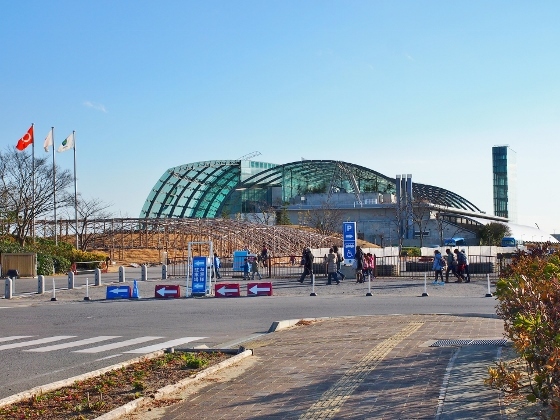 I packed my bike and took JR Line to Iwaki Station and then pedaled to the aquarium. This article is the first part of Iwaki series. 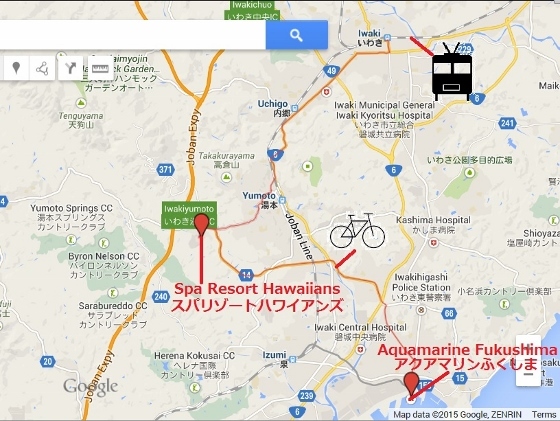 Aquamarine Fukushima is located in Onahama Port of Iwaki City. Above photo shows its view from outside. Inside the aquarium all the description were written also in English. It features very natural display close to the real environment. The highlight is the reproduction of meeting of the both Oyashio Current from the south and Kuroshio Current from the north off the coast of Fukushima. A very large number of fish swim in a group at the site. 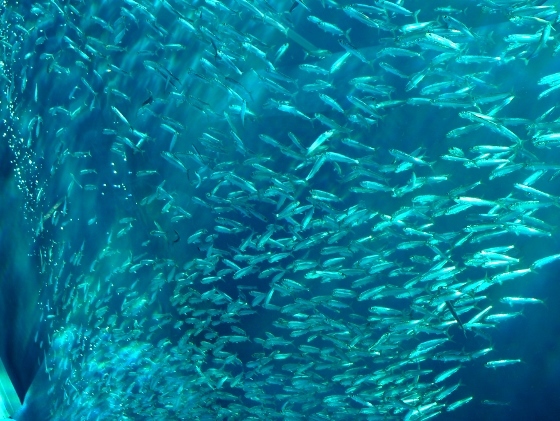 Above photos show a large group of sardines on Kuroshio current moving around the aquarium. 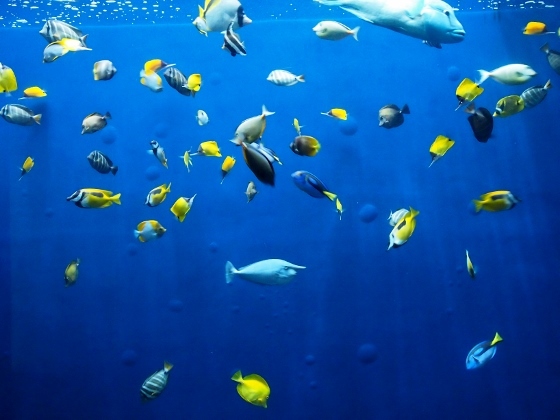 Above photo shows some colorful fish swimming around in the reproduction of the sea of coral reef. 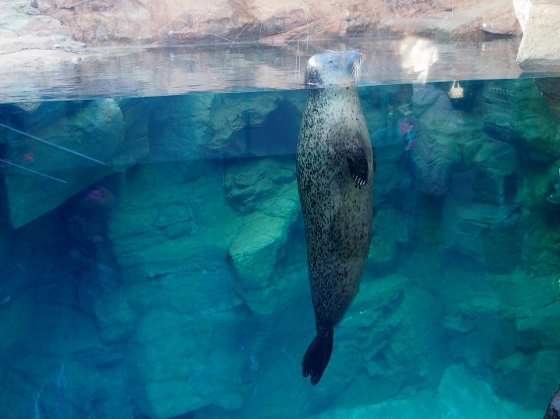 Above photo shows a Larga seal. 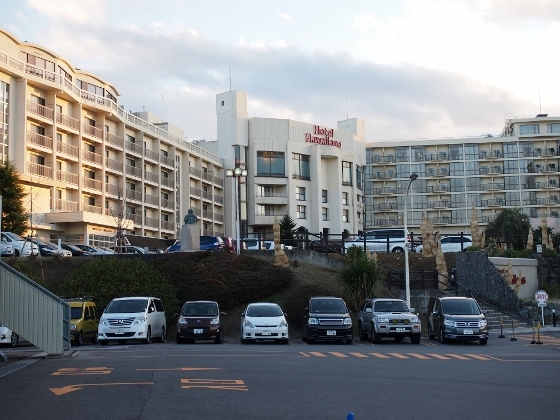 Iwaki City has an old hot spring called Iwakiyumoto Onsen which was discovered 1200 years ago. The hot spring water had been heated by the friction of land plates deep under the sea and this is sulfur spring. Spa Resort Hawaiians is a large hot spring recreation center which makes full use of this abundant hot spring source. The location is on the map and large hotels such as shown in the above picture stand adjacent to it. They are also ready to welcome foreign tourists.